Upbound on the St. Marys River on July 4, 2016. Originally named CWB Marquis, this vessel sailed from Nantong Mingde Heavy Industries Stock Co., Nantong, China, on Oct. 31, 2014. 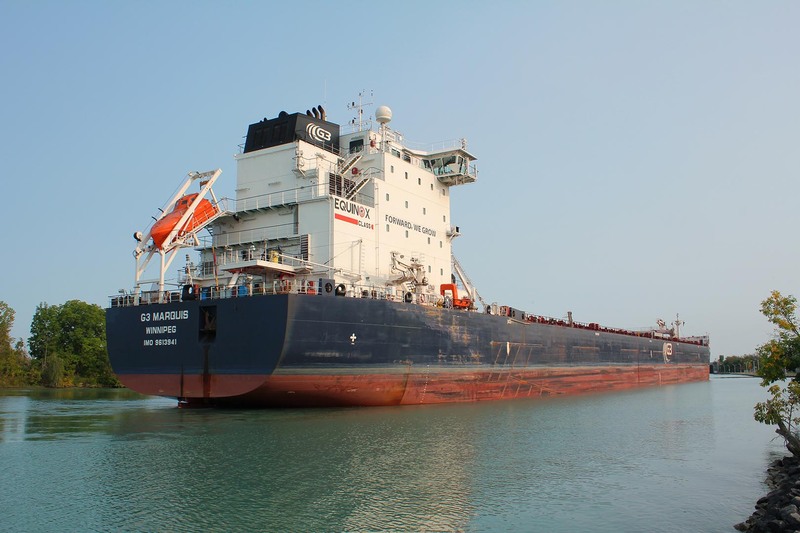 The 740-foot-long by 78-foot-wide bulk carrier arrived at Montreal on Jan. 8, 2015. The keel for this new vessel was laid on Dec. 25 2013, and the ship was launched on July 8, 2014. The staff of the Chinese shipyard spent the next three plus months getting the ship ready for the trip across the Pacific and eventual Great Lakes service. 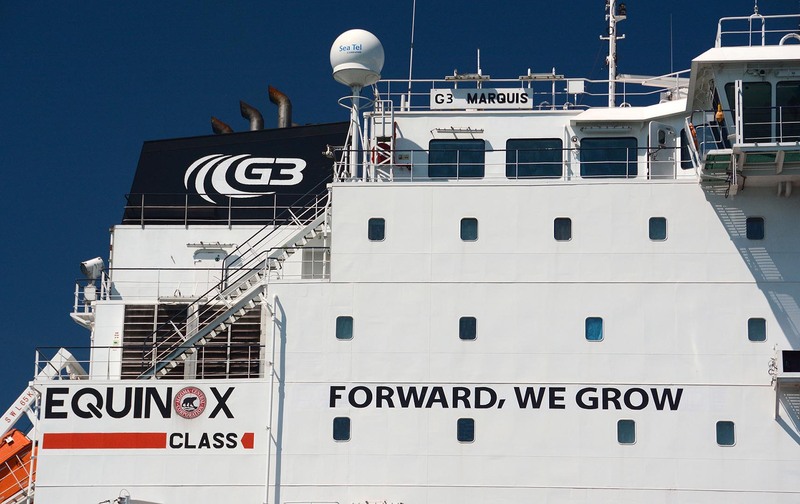 G3 Marquis is managed by the Algoma Central Corporation on behalf of Global Grain Group Ltd. (formerly Canadian Wheat Board). The ship carries a variety of grain cargoes on their behalf to the St. Lawrence storage elevators for eventual transshipment overseas. 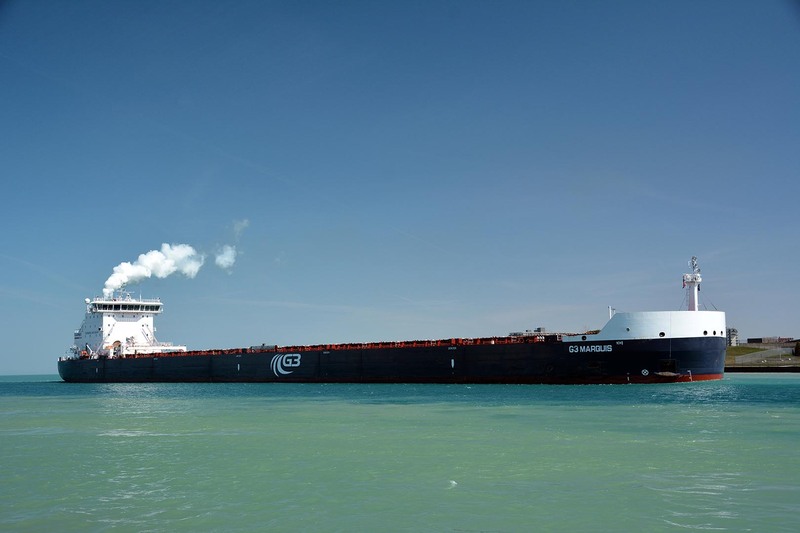 This vessel is the third in the new Equinox Class of bulk carriers built for the Algoma fleet. These vessels provide a 45 percent improved energy efficiency with specialized equipment that removes 97 percent of sulfur oxide emissions. 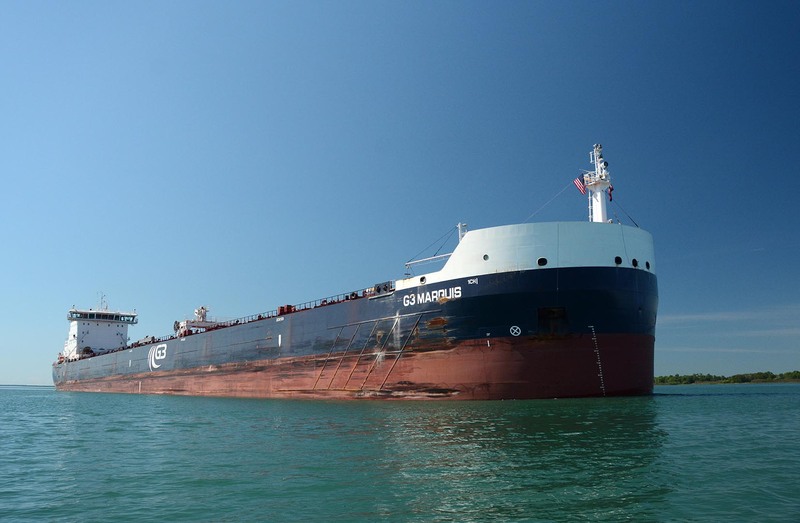 While inbound on the St. Lawrence on her first trip, CWB Marquis stopped at Port Cartier, Quebec, to take on a cargo of iron ore. 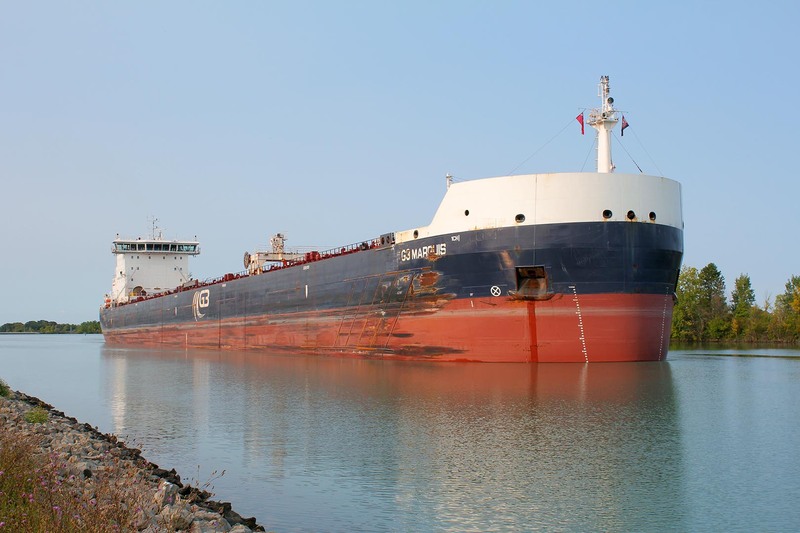 This was delivered to Hamilton early in April 2015, before the ship settled in on regular Seaway routine. 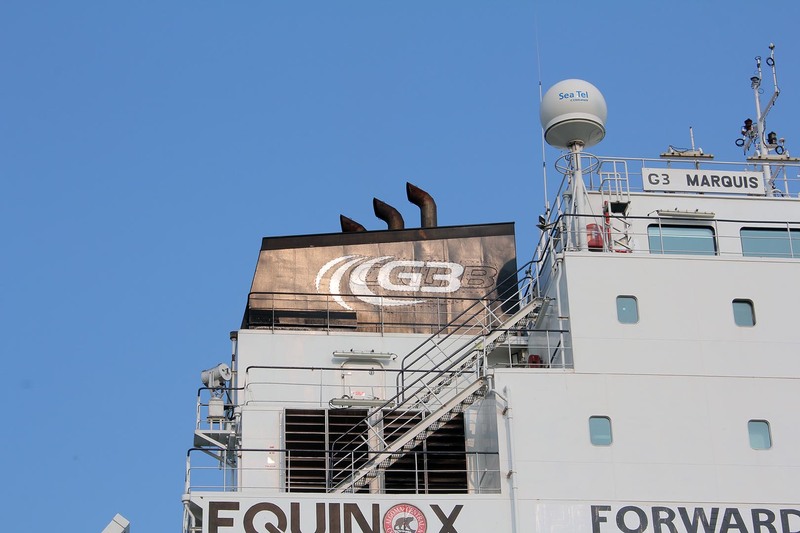 Prior to fit out for the 2016 season, the vessel was given a new stack marking reflecting the Global Grain Group, in addition to the G3 Marquis name. Close up of the billboard letters. The accomidations lit up at night. Departing the builder's yard in China for Canada. 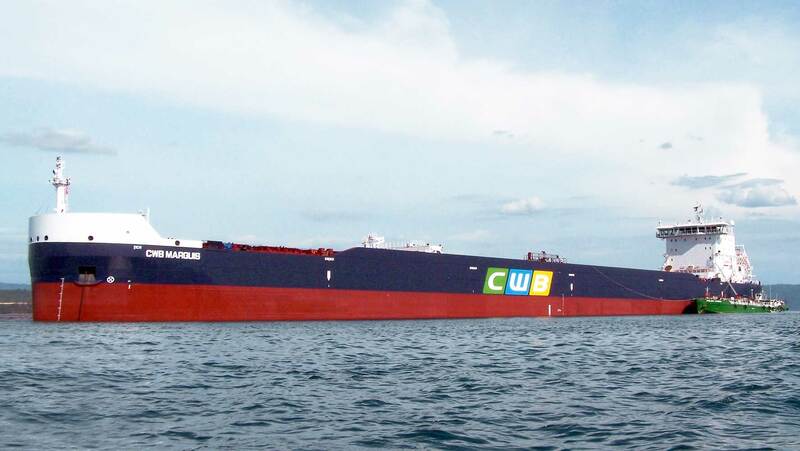 CWB Marquis bunkering in the Philippines on her way to Canada, Nov. 2014. CWB Marquis upbound headed for Lock 2 on her first trip up the Welland Canal in drizzle on April 4, 2015. 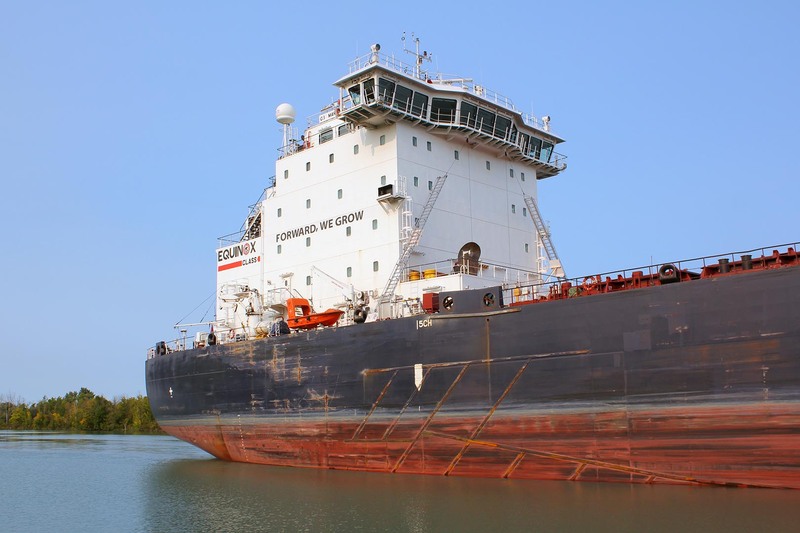 Downbound in the Welland Canal in Port Colborne on July 26, 2015. Downbound at Port Huron on April 15, 2016. Upbound above the Black River on July 3, 2016. Upbound in the Welland Canal below Lock 2, Sept. 16, 2017. The old CWB logo can be seen under the current stack logo.